100 gr of flour, 50 gr of unsalted butter, 3 eggs, 125 ml of water, 2 teaspoons of sugar and half a teaspoon of salt. 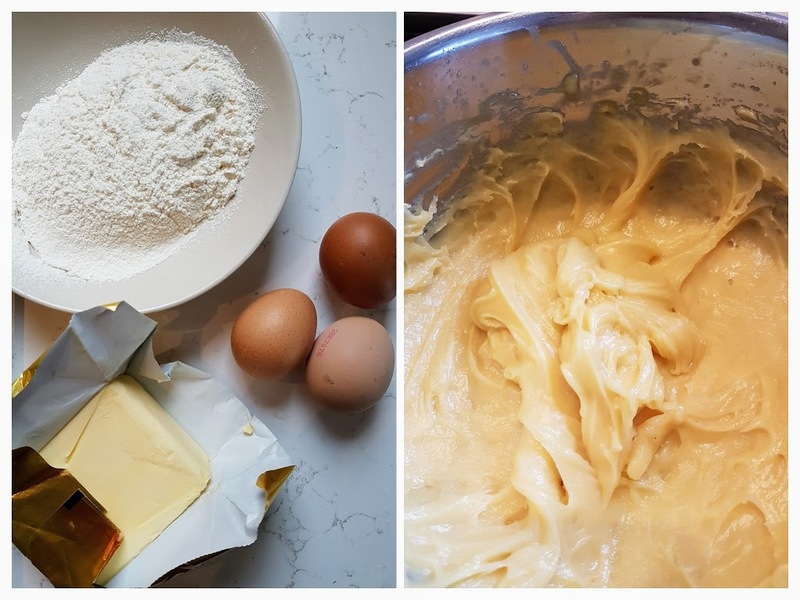 You first heat the water, the butter, the salt and the sugar on a medium heat until the butter is all melted, then you stir in the flour and you mix it all together really well with a wooden spoon until the dough doesn’t stick to the pan anymore. Then you take the pan of the stove and you add the eggs one by one, beating well after each egg. Let it cool down slightly before putting it into a piping bag. 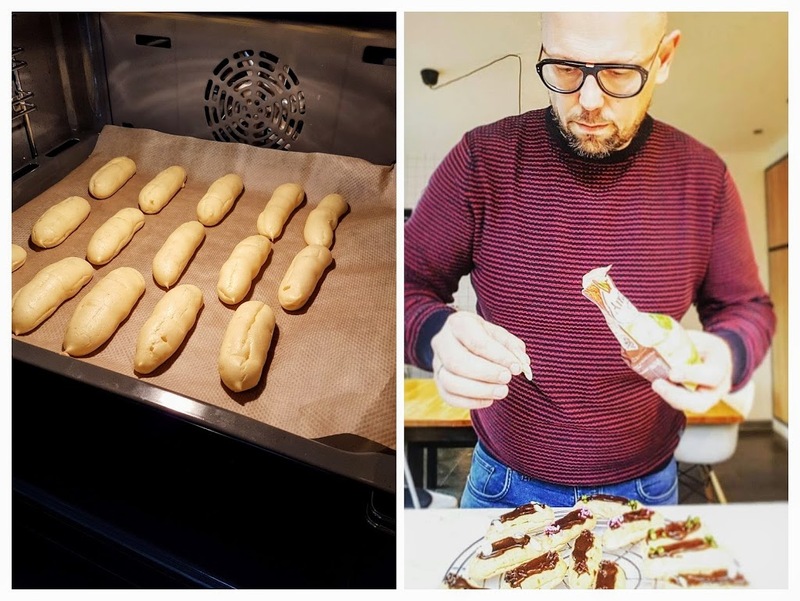 You then pipe 15 sausages (5cm) on a sheet of baking liner and bake the eclairs for 25 minutes in a 180 degree oven. I decided to fill the eclairs with freshly whipped cream (add some vanilla sugar, if you want) because my wife doesn’t like pudding (anything to stay in her good books ;-)) and decorate with chocolate (of course) and lots of different colourful things (almonds, chocolate sprinkles, pistachios,…). The end result was a bunch of very ‘homemade-looking’ mini-eclairs which went down very well with my home audience. Mission accomplished, wouldn’t you say? Thx dear! Greetings from Belgium!